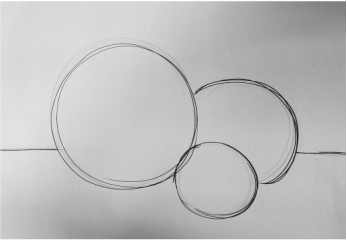 General Shapes: Draw 3 overlapping circles in pencil. Large, Medium and Small in the center of the paper. 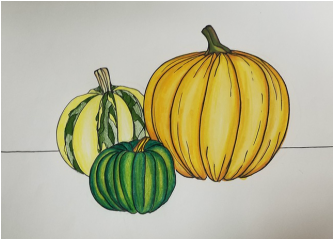 Trace the contour of the pumpkins and the edge of the table with a felt tip pen. 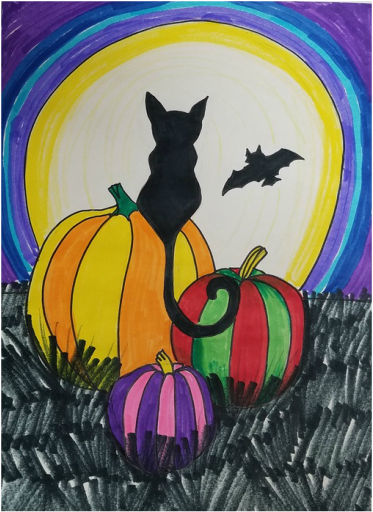 Color each pumpkin a different color. 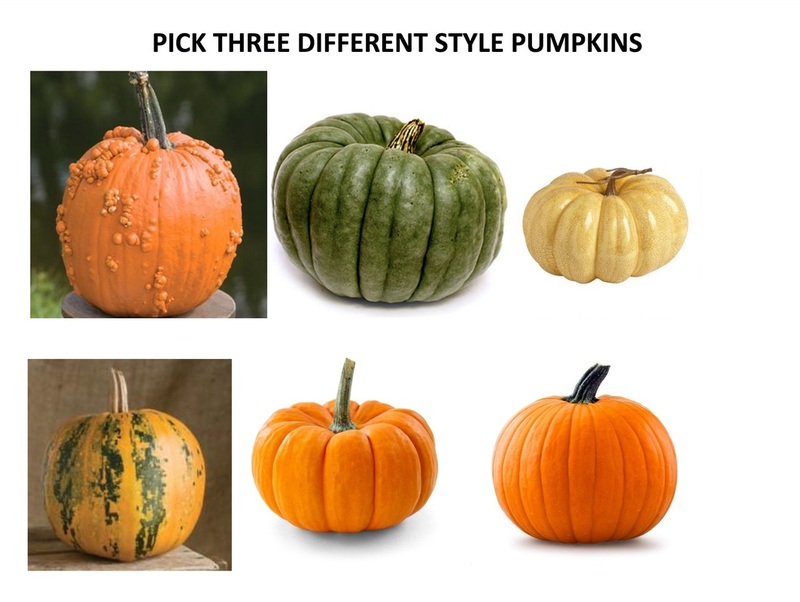 The pumpkins can be ANY COLOR.